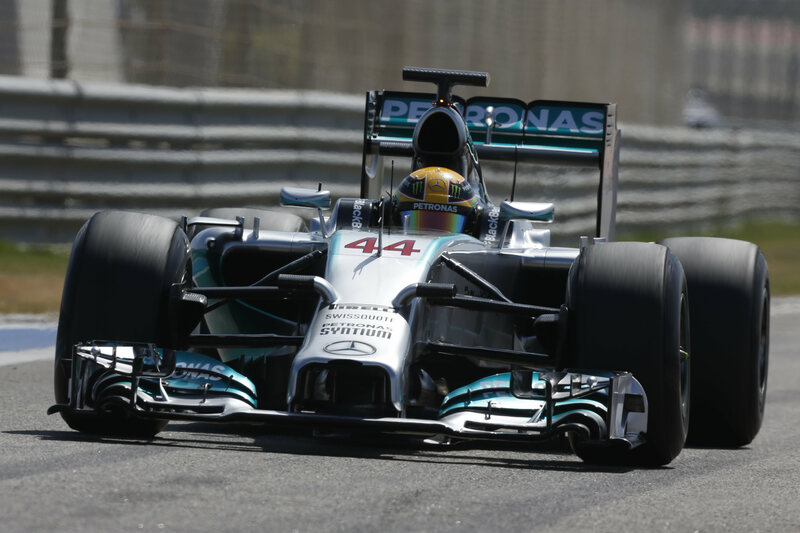 Watch Lewis Hamilton’s lap which gave him his 33rd career pole position, equalling the British pole position record. Hamilton narrowly edged out Sebastian Vettel to pole position this morning, after a Qualifying session which was initially postponed for fifty minutes and red flagged twice. You can read my report on Qualifying here. 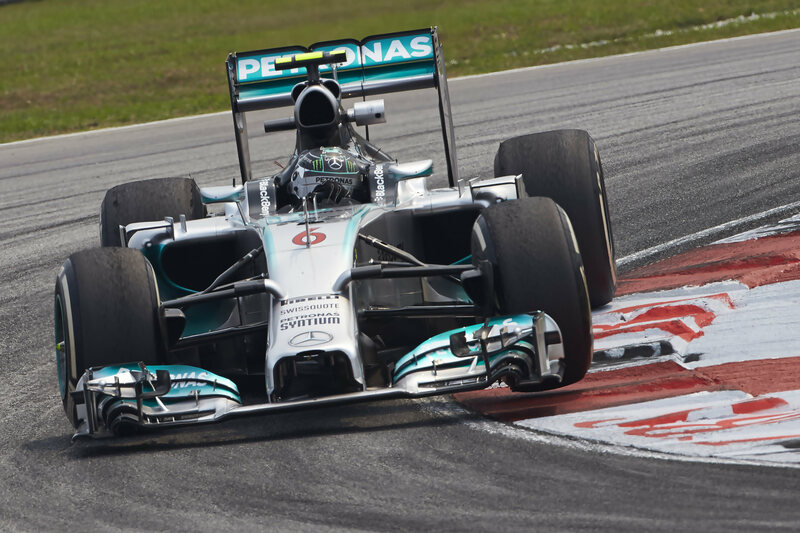 Nico Rosberg kept Mercedes firmly fastest in the final piece of track action before Qualifying at the Malaysian Grand Prix. The German kept his dominance over team-mate Lewis Hamilton as he looks to take a back-to-back win this Sunday, trumping Hamilton’s time by three-tenths of a second. Kimi Raikkonen was the closest driver to the Silver Arrows, but he was still a full 1.2 behind the title favourites. Behind Raikkonen was Sebastian Vettel for Red Bull, who himself led from Force India’s promising Nico Hulkenberg and Daniel Ricciardo, who will be eager to make the podium after being disqualified from second at his home Grand Prix two weekends ago. Fernando Alonso was noticeably slower than his team-mate as he occupied seventh place and narrowly fended off former team-mate Felipe Massa for Williams. Massa’s team-mate, Valtteri Bottas, took ninth while Sergio Perez filled out the top ten for Force India. The Toro Rosso duo of Daniil Kvyat and Jean-Eric Vergne took eleventh and twelfth ahead of the Sauber pairing of Esteban Gutierrez and Adrian Sutil, thirteenth and fourteenth. The Lotus drivers finally got some running under their belt, although Romain Grosjean had an off-track excursion in the final seconds of the session and subsequently declared the E22 a ‘disaster’ over the team radio. Max Chilton was seventeenth for Marussia, ahead of team-mate Jules Bianchi and the Caterham duo of Marcus Ericsson and Kamui Kobayashi. Kobayashi failed to get any noteworthy running on Friday due to technical gremlins, and needed to maximise the hour today. However, another technical issue reared its head and saw him ending his session after seven laps. McLaren report ‘hardware issues’ in their cars which saw them finish twenty-first and twenty-second this morning, and these problems will be tough to fix before Qualifying. Lewis Hamilton was the fastest man during Friday morning’s practice session ahead of this Sunday’s Malaysian Grand Prix. The Briton, whose best result in Sepang was second in 2007, edged out Ferrari’s Kimi Raikkonen and Mercedes team-mate Nico Rosberg who finished second and third respectively. Caterham who, like Lotus, run Renault power, were forced to call an end to his morning activity when a problem was discovered in the energy store. Aside from Kobayashi and the two Lotus’, no one else seemed to be suffering from any noteworthy issues. The majority of extracurricular activity this morning came as a result of spins: Adrian Sutil spinning at the pit entrance, Marcus Ericsson spinning out of the last corner and Fernando Alonso and Felipe Massa both spinning into the run-off area at turn 10. 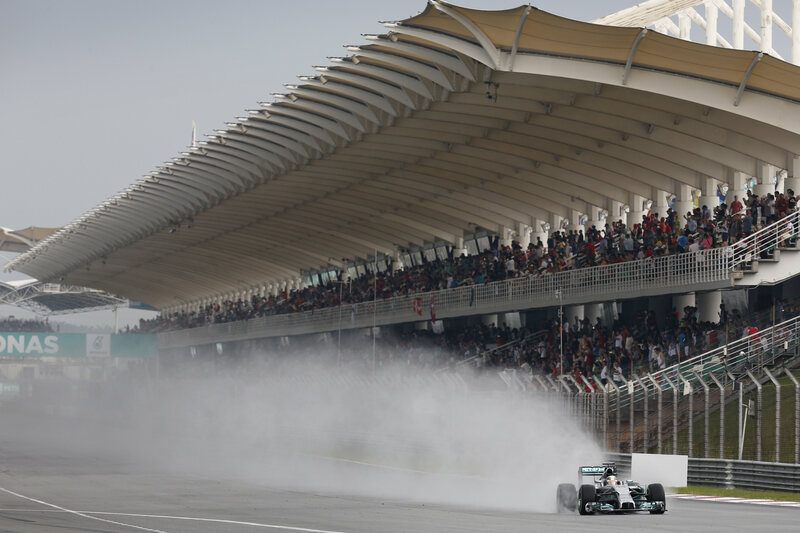 Lewis Hamilton out-braked himself at turn 14 and took the scenic route through the gravel in the final seconds of the session, as if to celebrate his fastest lap. Finally, Kevin Magnussen had a peculiar issue when the car shut itself off in the pit entrance: he required the assistance of marshals who pushed him some bit towards the pits before simply giving up and walking away, leaving the Dane stranded until marshals from a different post had run to him. 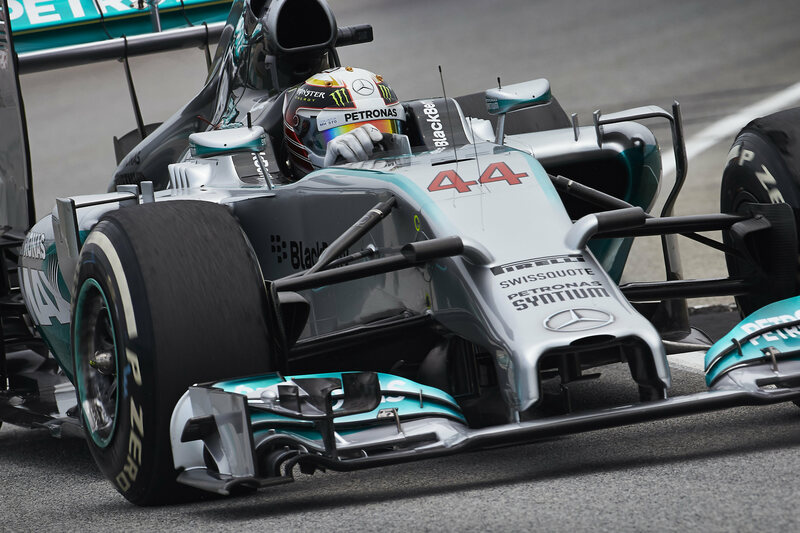 Watch Lewis Hamilton’s pole lap at the rain affected Australian Grand Prix. The Briton slipped and slid his way to Mercedes’ 100th pole position, narrowly beating local favourite Daniel Ricciardo, who lines up on the front row of the grid for his first Grand Prix with Red Bull. The big surprises from Saturday were Sebastian Vettel and Kimi Raikkonen failing to make Q3, Daniil Kvyat and Kevin Magnussen qualifying in the top ten on their debut, fourteenth place for Caterham, and Lotus filling out the last two places. For the full report, see here. Lewis Hamilton took Mercedes’ 100th pole position today by taking the first non-Red Bull pole since the Hungarian Grand Prix last year. Hamilton had led the second practice session on Friday afternoon, with Ferrari’s Fernando Alonso taking first in FP1 and Nico Rosberg taking the fastest time in FP3 by over a second. However, any of the predictability from the practice sessions was gone when rain hit the Albert Park circuit about ten minutes into the opening Qualifying session this morning. Eventually Hamilton slid to pole, three-tenths ahead of his closest opposition which was the miraculously recovered Red Bull of Daniel Ricciardo in his first race with the team. However, while Ricciardo will be typically beaming with the result, his World Champion team-mate will start tomorrow’s race in twelfth after the wet weather got the better of him. Another big Q2 drop-out was Kimi Raikkonen who spun his Ferrari into the barrier after turn 3 – embarrassingly on his in-lap. He will start tomorrow’s race in eleventh while his team-mate, Fernando Alonso, will line up fifth, behind Nico Rosberg in third and McLaren’s rookie Kevin Magnussen in fourth. Jean-Eric Vergne was an unexpected sixth for Toro Rosso and his team-mate, Daniil Kvyat, qualified eighth in his first F1 qualifying session with Nico Hulkenberg in between the two for Force India. The other Force India qualified far down the order in sixteenth. The Williams duo of Felipe Massa and Valtteri Bottas just slipped into Q3 and didn’t set a competitive lap during the session, meaning they qualified ninth and tenth respectively. However, Bottas was given a five-place grid penalty for a gearbox change which means that Jenson Button will start tenth after he narrowly missed out on the final Qualifying run. Adrian Sutil will start from thirteenth, while Caterham’s Kamui Kobayashi will, unbelievably, start from fourteenth. Caterham had struggled so far this weekend and Kobayashi had failed to set a single lap on Friday, making his performance today even more impressive. Marcus Ericsson qualified twentieth in the other Caterham. The Marussia duo lined up seventeenth and eighteenth, Chilton leading Bianchi, for the opening session and Esteban Gutierrez was close behind them for Sauber. He too will take a penalty for a gearbox change. It was a real day to forget for Lotus who both dropped out in the first session, Grosjean in twenty-first ahead of Maldonado in twenty-second, and last. It was so bad for the team that Maldonado failed to even set a lap and was left pleading to the stewards to waive the 107% rule, which they did. Therefore he just slipped in and will start from twenty-first, ahead of penalised Gutierrez. *Incurred a five-place penalty for a gearbox change.